The Fox Theatre opened in Tucson AZ during the first year of the great depression. On April 11, 1930, the Fox Tucson Theatre opened as a combined movie house and vaudeville theater. The theater was the first and only Southwestern Art Deco movie house. The opening of the Fox Tucson Theatre in a southern Arizona city of Tucson, population 32,000, was a major event. The theater was operated by the Fox West Coast Theatres which was owned by the Fox Film Corporation. The Fox Theater Tucson was large for its time, especially in the small community of Tucson AZ. The theater was a 30,000 square foot structure with 1,200 seats. The opening saw the street on which the Fox Theater is located, Congress, close for the evening. Live bands, dancing, a live radio broadcast and free downtown trolly rides made it an event to be remembered. The Fox Theatre lived through the depression and was the focal point for entertainment in Tucson for almost 40 years. Movies, vaudeville and the local chapter of the Mickey Mouse club were all “on stage” at the Fox Theatre Tucson AZ. Unfortunately, the Fox Theatre could not over come the passing of time and decline of Tucson’s downtown area. After numerous changes in ownership, The Fox Theatre Tucson closed its doors in 1974. It would remain close for 25 years. Through those long years of neglect, the Fox Theatre became a desolate place. Extensive water damage, vandalism and decay made the theater almost unsalvagable. After lengthy negotiations with the owners, the facility was purchased by non-profit Fox Tucson Theatre Foundation in 1999. Their efforts raised over $14 million and provided resources that have restored the Fox Theatre to its historic place in Tucson AZ. After six years of effort, the Fox Theatre Tucson reopened on New Years Eve 2006. The Theater facility was placed on the National List of Historic Places in 2003 due to is unique Southwestern Art Deco décor and outstanding acoustics. The reopening of the Fox Theatre has been a focal point for downtown Tucson as well as the overall Tucson community. The Fox Theatre schedule includes over 125 events each year and brings a new vibrancy to the downtown area. 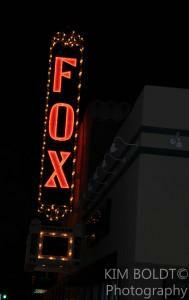 The support of the volunteers and patrons of the Fox Theatre, it is expected to continue its historic role in Tucson AZ. The recently opened Tucson Streetcar system supports easy access to the Fox Theatre as well as the many other venues flourishing in the revitalization of downtown Tucson AZ. If you are moving to Tucson AZ or have Southern Arizona on your list as a potential place to retire or have a winter get away, we can help!